The purpose of this page is to document my attempts to restore a dead VZ300 using a Raspberry PI. The PI will fit inside the VZ case, emulating the Z80 cpu, 6847 graphics chip and interface with the original keyboard. A customized version of VZEM will boot on powerup from the SD card. 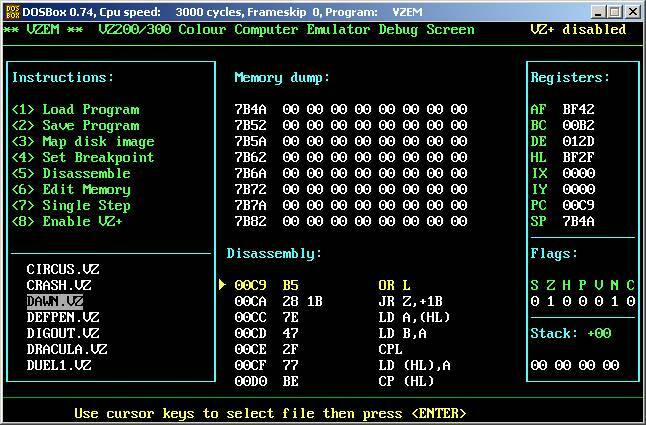 Pressing ctrl + shift + break will open a file manager allowing loading of snapshots, cassette and disk images. A 2gb SD card will leave appx 500mb free for VZ files. 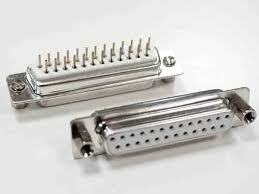 This is the equivalent of 6000 VZ floppies! 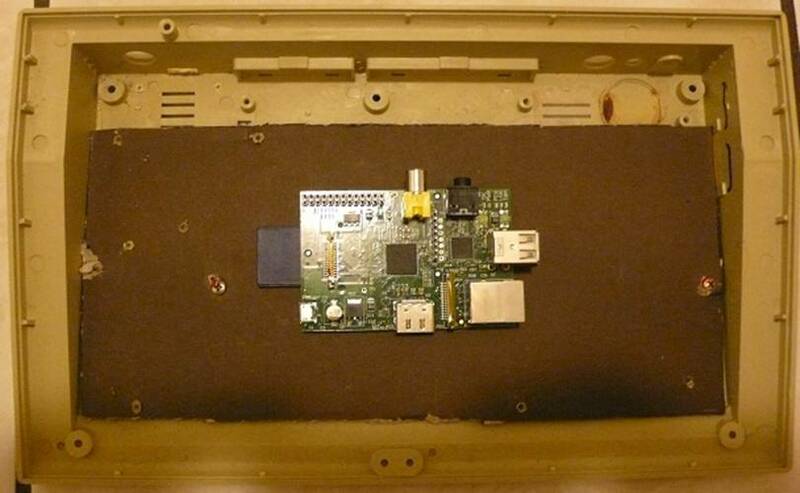 And this is the Raspberry PI inside the VZ300 case. The PI boots from an SD card which is plugged in the left side of the board. The yellow plug at top centre is the composite video out, to the right is the audio line out jack. Power is supplied via a 5volt mini usb connector. The PI is much smaller than the VZ300 mainboard but vastly more powerful, capable of emulating the cpu and graphics of the original hardware in real time. 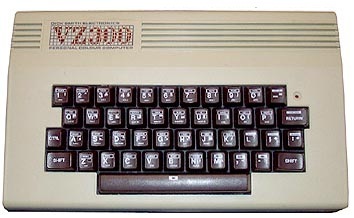 Here is the original VZ300 keyboard. A 16 pin ribbon cable connects the keyboard to the VZ300 mainboard. 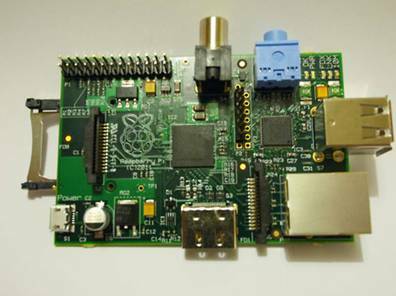 For this project the VZ300 keyboard will be interfaced with the PI. 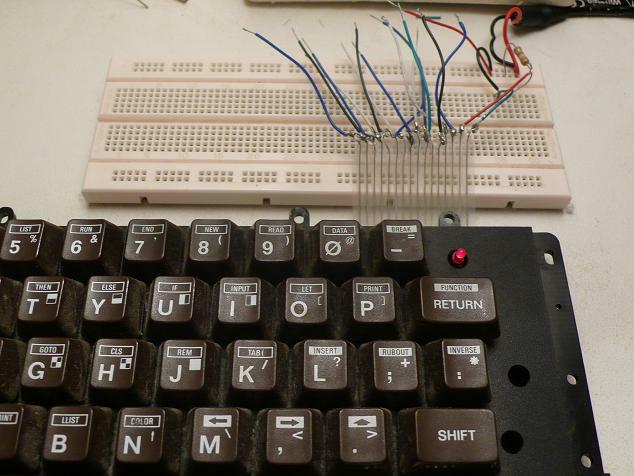 Verify the VZ keyboard is operational by wiring it to an external power source and using it to light up some LEDs. 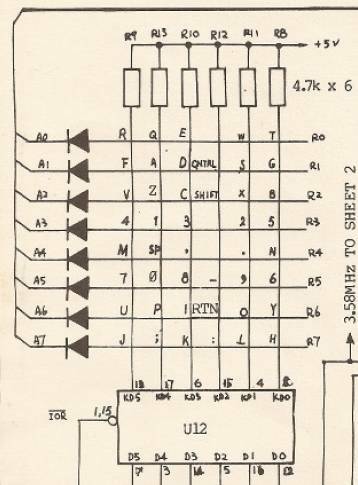 The keyboard circuit will need to simulate the 8 keyboard lines, taking each line to logic low in sequence then reading the 6 data bits. The circuit to verify this will wire the 8 address lines to the 3.3v line, making all rows logic high. 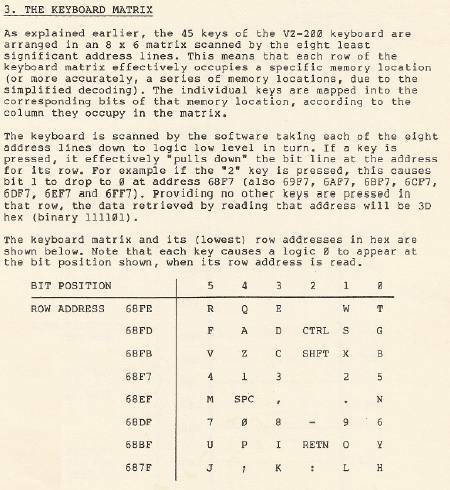 To verify the “2” key, the A3 address line will be connected to ground. If no keys are pressed on the A3 line, all LEDs should be lit. Pressing the “2” key will drop bit1 to zero, and that LED should go out. 24th September – Tested internal keyboard LED, nice and bright. All this really verifies is the soldering to the LED and ground lines are sound, and internal keyboard LED is still ok.